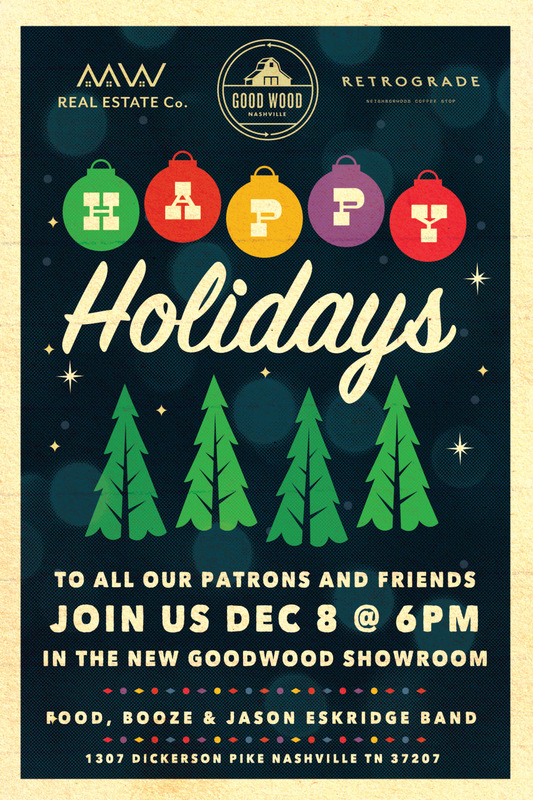 You are Invited to Our First Ever Holiday Party in our new showroom! Food, Booze, and The Jason Eskridge Band! Free to all of our patrons, friends and neighbors. Our Maker's Market Gift Shop will also be open during the party!